The FUN camp in Una, in Himachal Pradesh, was a big success with sixty eight students from Sanskriti School participating to learn about the rural realities and discovering more about themselves in the process. A routine with no cellular phones, laptops, I pods; new attire, different food and a simple life like the rural folks was exciting to these urban cool dudes! The “Who am I” session made everyone open up, was a little emotional but at the same time made the participants learn to trust each other. 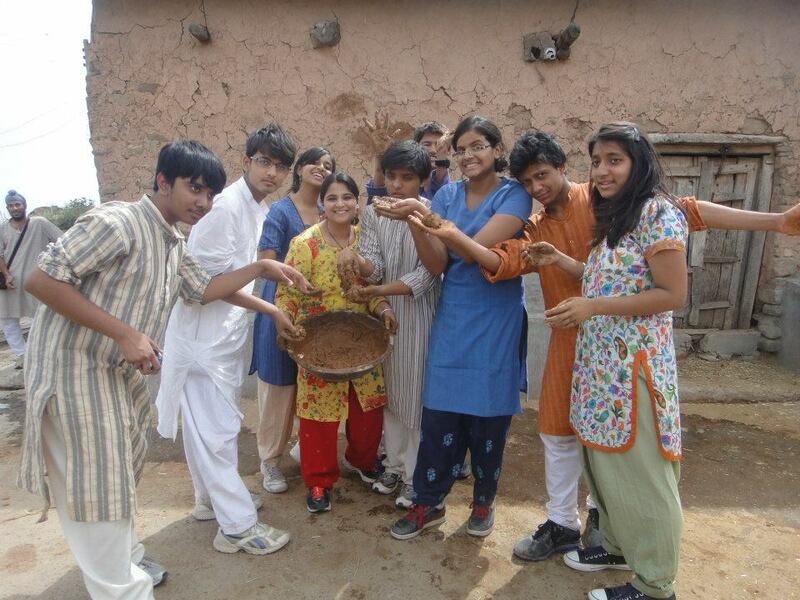 Students were apprehensive about getting involved in village activities like plastering the walls of the cowshed with cow dung, a not very pleasant experience for most of them. It was hesitation about dirtying their hands and the students were very thankful when the villagers helped them to plaster the cracked walls to support them. Similar experiences enabled them to build an understanding of development issues of education and sanitation in rural India.